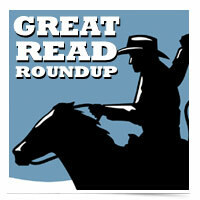 A new feature in Tuesday Tactics for 2014 is our “Great Read Roundup” in which we highlight some of the best pieces we’ve read recently and why they might matter to your real estate career. Why it matters: Arguably, as Google hires, so do companies of the future. Your clients with kids may be interested in learning the qualities Google looks for: Learning ability, leadership, humility, and ownership. What they’re not excited about? G.P.A.’s & test scores. Why it matters: A brief, balanced consideration of new technology which promises to be the newest incarnation of speed reading. What are the pros and cons of hacking your brain to read 1000 words per minute? Does it promote productivity or rob us of our ability to pause, reflect, and synthesize the written word?